The Natural Gas industry in Tasmania is highly regulated with many controls and standards in place to ensure your safety. Tas Gas Networks is delivering natural gas to homes and businesses in Tasmania. Their network makes gas available to approximately 46,500 of the state’s commercial and residential customers. Before making gas available, Tas Gas rigorously tests all its pipelines in your neighbourhood to ensure compliance and safe operation. Once you decide to connect to Natural Gas you must enter into a contract with a gas retailer. A gas retailer will be responsible for billing you for the consumption of gas.  The Tasmanian Gas Network (TGN) is a distribution pipeline owned and operated by Tas Gas Networks Pty Ltd (TGN Pty Ltd). TGN Pty Ltd is a wholly owned subsidiary of Brookfield Infrastructure Group Australia which acquired the TGN from Powerco Ltd in 2009. A network of distribution pipelines delivers gas from points along transmission pipelines to industrial customers, and from gate stations to customers in cities and towns. A distribution network typically consists of high, medium and low pressure pipelines. The high and medium pressure mains provide a ‘backbone’ servicing high demand areas and transports gas between population concentrations within a distribution area. Low pressure pipes lead off the high pressure mains to end customers. Tas Gas Networks began work on the project in May 2003 with the commencement of the design process. Construction of the network was divided into two major stages. The first stage of the project, was completed in July 2005. This involved laying 100 km of gas pipe in the urban areas of Hobart, Launceston, Longford, Westbury, Bell Bay, Wynyard and Devonport. The second stage, completed in April 2007, involved laying a further 612 km of gas pipe across Hobart, Launceston, Burnie and Devonport.